Rescuers fear that at least 12 to 15 people are still trapped under the debris as they heard voices coming from inside. As many as 55 people were injured in the incident. 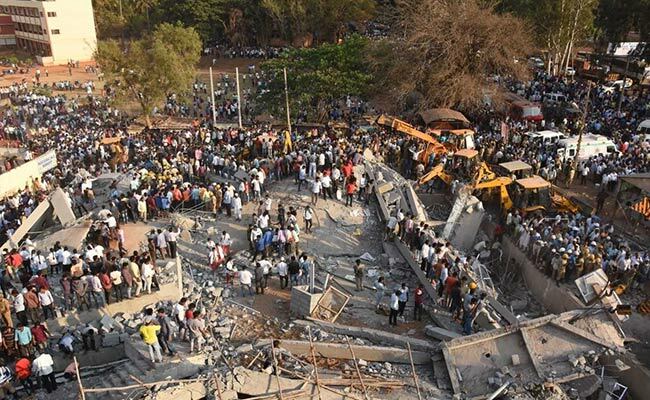 Rescuers on Thursday pulled out three more bodies from the rubble of the under-construction building that collapsed at Dharwad in north Karnataka two days back, taking the number of dead in the incident to 10, police said. The bodies of Divya Unakal, 8, Dakshayini, 45, and an unidentified person were retrieved from the debris as the rescue operations entered the third day, police said. The four-storeyed building, which belonged to one of the relatives of former Congress minister Vinay Kulkarni, came crashing on Tuesday. Anger and frustration were palpable as more bodies were retrieved from the accident site with loud wails of relatives. Locals sought to know how the civic agencies turned a blind eye to sub-standard materials being used for the construction, though everybody was apprehensive about the strength of the building. Police have not arrested anyone yet. BJP MLA from Hubballi-Dharwad Central and former Karnataka chief minister Jagadish Shettar too visited the spot and took stock of the situation.